French wine law doesn’t allow declaring the vintage on a “Vin de Table”, the most basic of classifications in the AOC system. 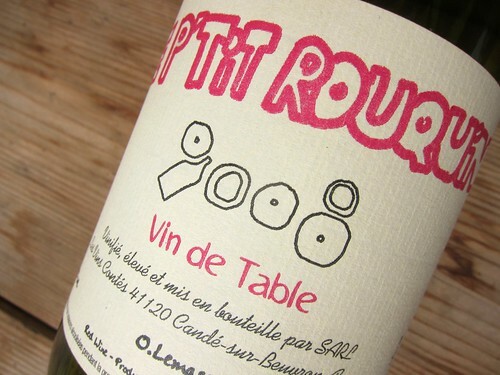 Thus, some vignerons who apply their own rules on winemaking and mostly coming from the Vins Naturels branch have to be quite imaginative for letting their customers know what’s in their bottles. This bottle I came accross, a Gamay from de Loire region by négociant-winemaker Olivier Lemasson shows a drawing which indicates the vintage -pretty cool, huh?